TOYOTA GAZOO Racing World Rally Team travels to Rally Australia (November 15-18) for the final round of the 2018 season, aiming to claim the manufacturers’ championship in which it currently holds a 12-point lead. Ott Tänak remains in contention for the drivers’ title, 23 points behind the leader, with his fellow Toyota Yaris WRC drivers Esapekka Lappi and Jari-Matti Latvala also within the top five in the standings. Based in Coffs Harbour on the New South Wales coast, mid-way between Sydney and Brisbane, Rally Australia features a mixture of gravel roads, from twisting forest tracks to more open and flowing country roads. After shakedown on Thursday morning, the first competitive action will be on Friday to the north of Coffs Harbour, with the new Orara East and Coldwater stages and the unchanged Sherwood all run twice. Saturday’s loop is based to the south, and includes two new stages that use parts of the old Nambucca test, plus Urunga and the Raleigh raceway. Both Friday and Saturday end with two runs over a short, water-side asphalt test in Coffs Harbour. The final day of the season on Sunday features three stages all run twice, with the Wedding Bells Power Stage followed closely by the podium ceremony. 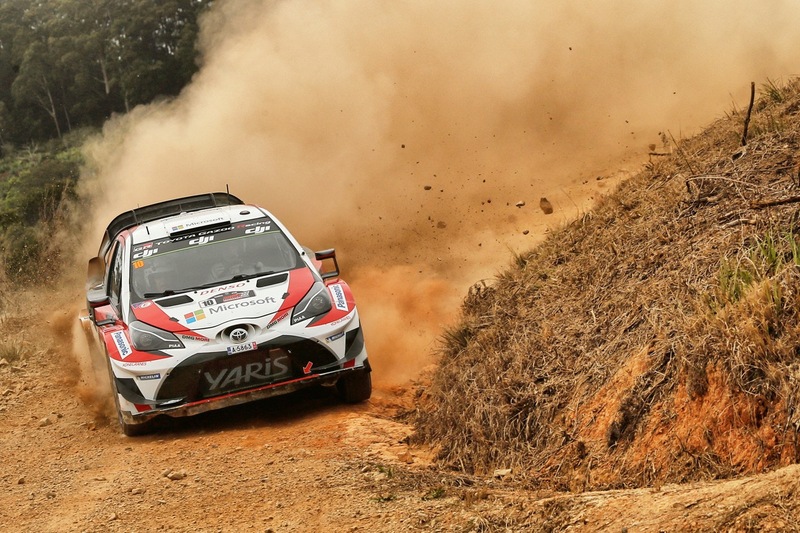 The Toyota Yaris WRC completed its debut season with a competitive showing in Australia. Jari-Matti Latvala held second place until an off on the final stage, but still clinched fourth in the drivers’ championship. Team-mate Esapekka Lappi completed the rally in sixth overall as the team finished third in the manufacturers’ standings.